“Will a chemical peel burn off my face?” And other myths, dispelled. With fall in full swing, it’s time to renew your skincare routine. Whether you’re a beginner to skincare (welcome! ), a product hoarder or even an in-the-know-glow insider, listen up. 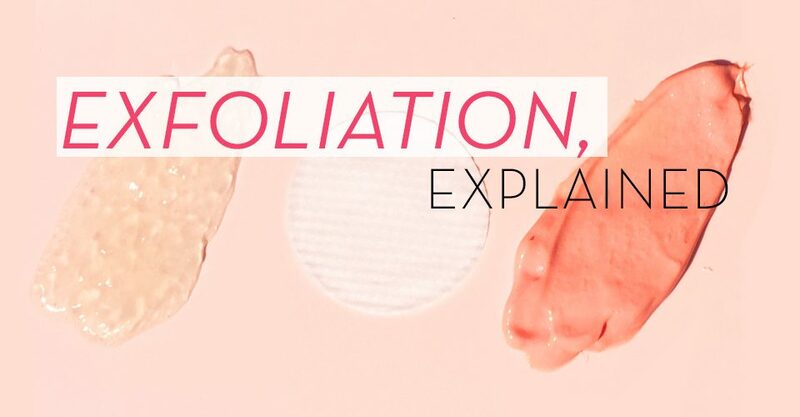 There are a lot of exfoliation misconceptions out there and we want to clear things up — pun intended. Exfoliation is an essential part of your skincare routine, from combating oiliness and clogged pores to dullness and discoloration, or even prepping your skin for makeup – it allows for an older layer of your skin to be removed, revealing a fresh, renewed, glowing complexion. Even better, it helps your skin absorb moisture, which allows your other products to achieve their best results. Dead skin cells sitting on your face? That’s scary enough to think about, but the actual scary part is not taking the steps to get rid of the old skin. An exfoliant gets rid of dead skin cells. Nut Scrubs: Most nut-based scrubs contain apricot kernels and ground walnut shells. While the ingredients are natural and can be effective at removing old skin cells, most dermatologists advise against using them because they are rough on the skin and can cause inflammation. Nut or sugar scrubs can cause tiny tears in the skin, so tiny that they may not be visible, but they create openings for bacteria and irritants to enter through. By using a scrub on skin that’s already dry and cracked, you’re only further breaking down the skin in an attempt to renew it. Our verdict: Scary. Microbeads (Polyethylene): You know what they are. They’re those tiny pieces of plastic that pop up in face and body cleansers. Not as rough as nut scrubs, but these tiny beads can still cause those tiny tears in the skin we were just talking about. That’s not the worst part. As it turns out, these plastic particles are actually damaging our environment and potentially entering our bodies. They get washed down the drain and end up polluting lakes and oceans, where fish may eat them and in turn, we may eat them through fish consumption – it’s a vicious cycle. We could go on, but I think you get how much we are against microbeads. Our verdict: Very scary. When people hear the word chemical, they think danger: A skull and crossbones warning sign, a laboratory full of test tubes and beakers. But, chemical exfoliants are far from dangerous, especially at-home products. Fun fact: Chemical exfoliation ages back to the ancient Egyptians bathing in sour milk (lactic acid) to smooth their skin. Hydroxy Acids: These chemicals are acids that fall under two categories: Alpha Hydroxy Acids and Beta Hydroxy acids – acting as agents to “unglue” the bonds that hold dull, dead skin to the surface. The new skin is usually left smoother, brighter and less wrinkled. The best known AHA’s are glycolic and lactic acid – preferred for normal to dry skin due to their ability to enhance moisturizing factors. They also have the added benefit of stimulating collagen to increase firmness and elasticity. Unlike a scrub or cleanser, these acids do not need to be washed off and can be applied directly to the skin in various forms from rinses to creams to on-the-go peel pads. BHA’s help balance oil production and prevent breakouts, think salicylic acid. Read: ENZYME VS. CHEMICAL PEELS: WHICH IS BETTER FOR YOUR SKINCARE ROUTINE? Whichever exfoliation products you choose, always beware of the dangers of over exfoliating. Overusing any exfoliating product can do more damage than good, causing redness and irritation. Exfoliating everyday can strip the skin of its natural oils, which causes breakouts and thinning of the skin. Effective results can be reached with a subtle approach, so stick to exfoliating no more than 2-3 times a week. Since exfoliating peels away an older, protective layer of skin, the new layer of skin is fresh and vulnerable to sun damage – making it more important than ever to protect yourself with an SPF. If you’ve made it all the way to the end of this post with all that dead skin accumulating on your face, we suggest you go gommage, sweep or mask. Your renewed skin will thank you.